Update: The Pokémon Company International have confirmed that the film will be released on over 300 screens, with showings also on Saturday 1 December until Monday 3 December. Attendees will also be able to receive a free sampling of 3 trading cards. Original Article: Back in July, The Pokémon Company International, in partnership with Fathom Events, announced plans to release anime film Pokémon the Movie: The Power of Us in selected cinemas across the United Kingdom and Ireland this November. Today, they have finally confirmed that the UK & IRE release will take place on Saturday 24 November! Every year, the townspeople gather to celebrate the Legendary Pokémon Lugia, who brings the wind that saved the town from destruction many years ago. The festival is a time for celebration, with a Pokémon Catching Race and a ceremonial flame burning brightly to summon Lugia. But when a series of incidents threatens not just the festival, but all the people and Pokémon who call the town home, it’s going to take more than just Ash and Pikachu to save the day. Will these people be able to put aside their differences and work together to rescue their town? Or will it all end in destruction? At time of writing, only Vue Cinemas are currently listed on the website and it is currently not known if other chains or locations will be added, but we’ll update this page accordingly. All screenings will be English language dub only and can be booked from Fathom Events’ website. A co-production between franchise regulars OLM, Inc (Pokémon the Movie: I Choose You) and Wit Studio (Attack On Titan), Pokémon the Movie: The Power of Us is the global franchise’s 21st anime feature film. 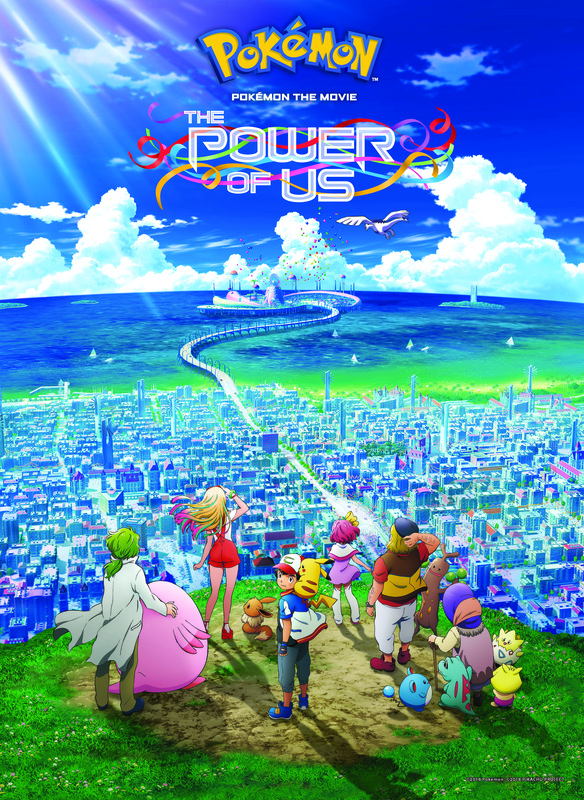 Similar to last year’s film, The Power of Us is set in its own continuity, separate from the currently airing Pokémon the Series: Sun & Moon. This marks the first Pokémon movie to not be directed by Kunihiko Yuyama, with Pokémon the Series: XY director Tetsuo Yajima making his feature film directorial debut.